Our most luxurious police style dog lead made of the finest black leather rolled over a 6mm nylon rope - beautiful, extremely soft and strong. The ultimate in luxury and comfort this training lead is lightweight and smooth in your hands and is the most versatile dog lead you will ever own. 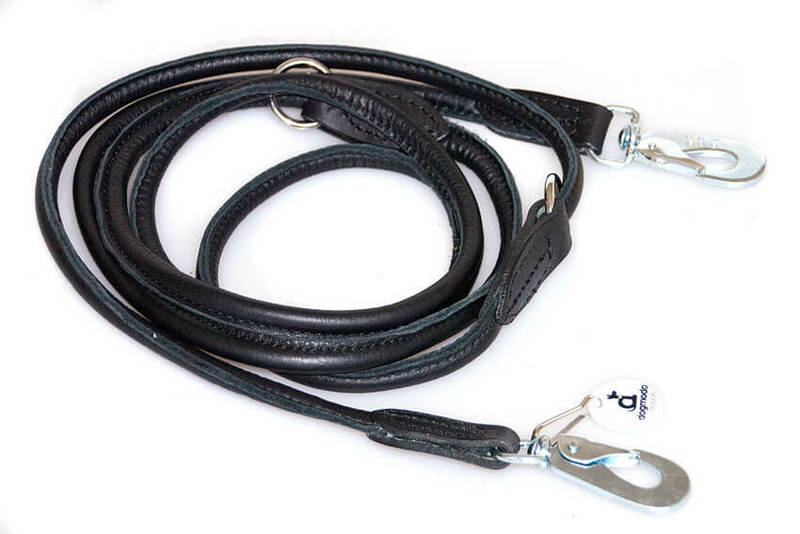 A practical and stylish choice this 4-in-1 premium leather dog lead is adjustable from 1.2m (4ft) to up to 2.7m (9ft) long. You could use this lead for any situation and will not need to buy another lead! 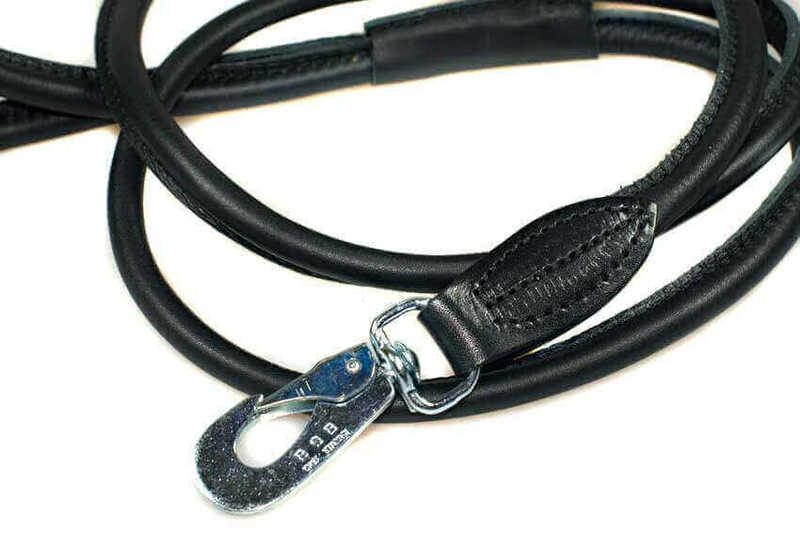 Rolled leather police style leads are available in black, brown, red and beige leather. 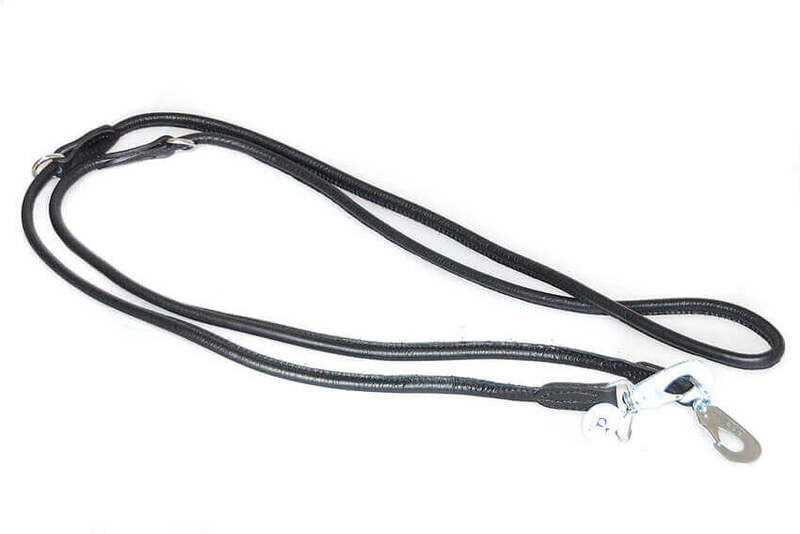 All Dog Moda's adjustable training leads come with three special Swedish-made safety chrome coloured trigger hooks. Unlike many inferior quality trigger hooks, these will not open accidentally and are easy to clip on the dog collar when wearing gloves and in wet conditions. This type of triggers are universally considered to be one of the best and safest trigger hook designs and are favoured by husky teams and climbers in Scandinavia. Please do not hesitate to call +44 (0) 20 3582 4532 or contact us if you need help choosing a lead for your hounds or have any questions about using police style training leads. We are here to help! Cannot recommend this lead highly enough! So many well thought-out features and attention to detail. For example, adjustment lengths are ideal for loose leash walking, structured walks, stay training etc. The overall length is superb and enables training and controlled and safe freedom. Coupled with the exceptional quality and feel of the leather this makes it THE perfect lead! I'm already buying more for family members and converting my fellow dog owners. Two of these adjustable rolled leads arrived today and I am totally chuffed - really pleased - thank you so much. 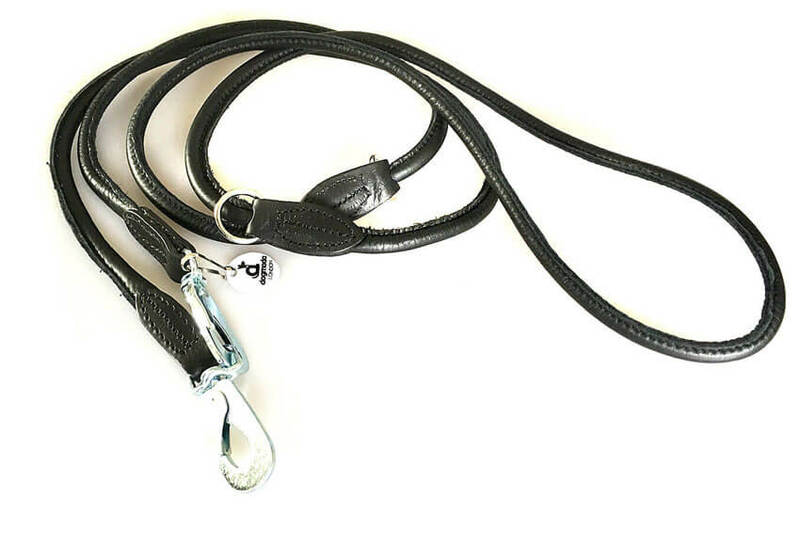 Purchased these adjustable rolled leather leads for my two Salukis. Nothing but good reports on these dog leads. They are particularly nice and soft with good clasps and good lengths! 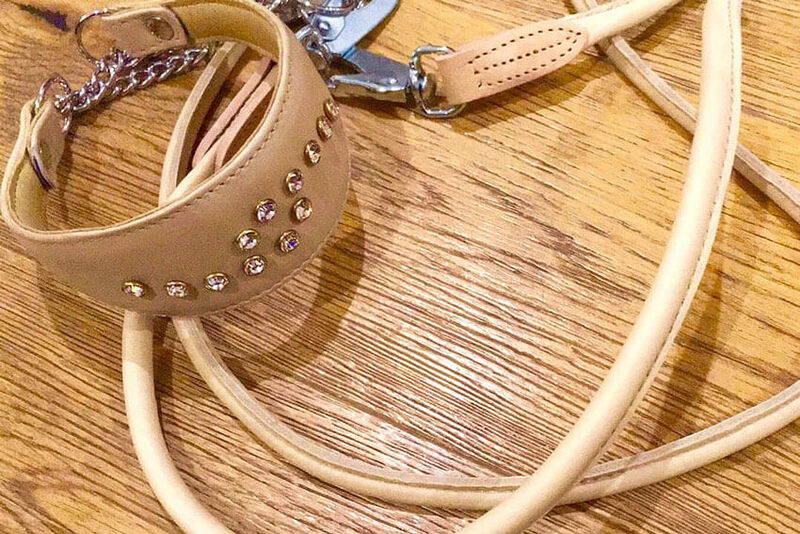 Having lost my beautiful rolled leather lead on our morning walk, I came across Dog Moda's website during my search for a replacement. I cannot praise the service I received highly enough. The website was very easy to navigate and the product; which was dispatched the same day; was perfect. Thank you Victor and Dog Moda.